United flight 1175, with more than 370 people on board including crew members, landed without incident at Honolulu International Airport, United Airlines Inc spokesman Charles Hobart said in an email. 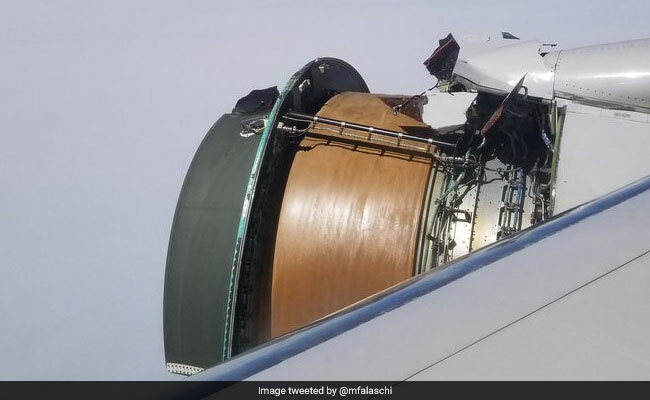 Passengers aboard a United Airlines flight from San Francisco to Honolulu had a scary trip over the Pacific Ocean on Tuesday, after the casing around one of the engines ripped apart, officials said. "Scariest flight of my life," Maria Falaschi, a marketing consultant from San Francisco, wrote on Twitter. She posted photos on the social media website of the aircraft's engine with its covering, also known as the cowling, missing. Hobart said he could not immediately say whether or not the engine on the Boeing 777 continued to function after the cowling came off. The pilots of United flight 1175 declared an emergency due to a vibration in the right engine before the plane landed safely, Federal Aviation Administration (FAA) spokesman Ian Gregor said in an email. The FAA will investigate the incident.